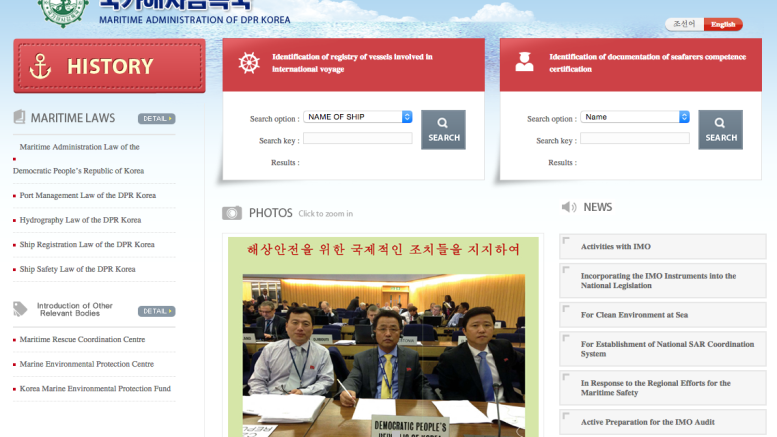 North Korea’s Maritime Administration is the latest public institution to put a website on the global Internet. It’s the first new Internet website from North Korea this year and joins a small handful of sites originating from servers in Pyongyang. 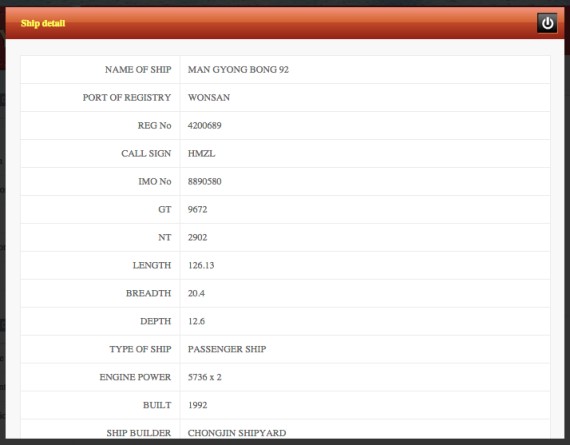 The site has Korean and English language versions and perhaps most interestingly, a searchable database of North Korea’s ships involved in international passage and personnel certified to operate them. 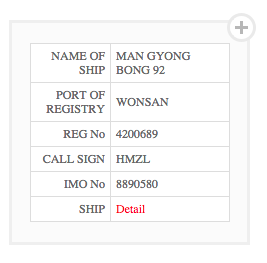 I decided to test it out on one of North Korea’s most famous ships, the Mangyongbong 92 ferry that sailed between Wonsan and Niigata in Japan. The IMO number is a unique number that remains linked to the hull for its lifetime, regardless of a change in name, flag, or owner. The closest to a random search I came up with was using that certificate number. It’s possible to methodically work through the database by incrementing the number by 1 each time. A script could probably pull down the entire database, if someone was motivated enough. So what of some other ships? All but the final vessel were in the database. And you can also find the Mu Du Bong, the North Korean freighter that’s currently sitting off the Mexican coast after being impounded by the country. As the data refers to ships with IMO numbers, most of these details are already in international databases, so the site probably doesn’t reveal much that isn’t already known. What is most notable is that it’s available here without having to go through registration or membership systems that many other shipping databases require. The site isn’t the first time the Maritime Administration has dabbled with the Internet. 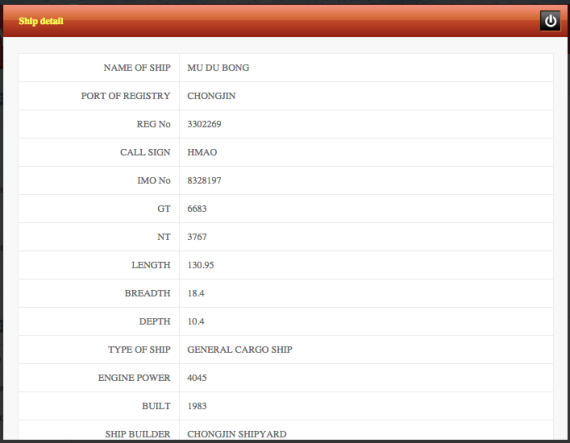 In 2011, a website for an IMO project that pulls together ship data transmissions appeared on the Internet. But the site eventually disappeared.